One of my favorite type of mask is leave on sleeping mask. Sleeping mask is a lifesaver for lazy working adults like us, apply and leave on till the next morning then wash off. 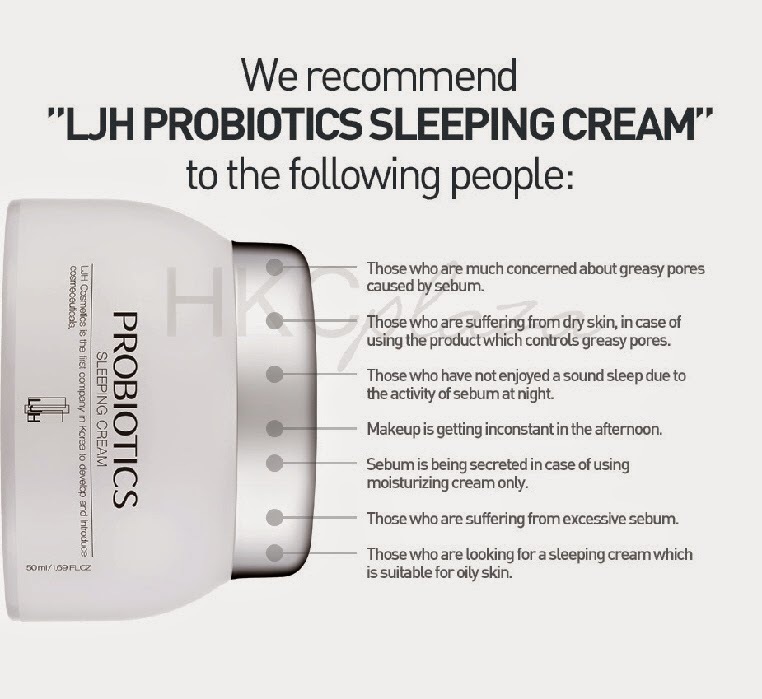 The effective sleeping cream to remove sebum, causing to dilate pores. During your sleeping time, the secretion of sebum takes place and pores are gradually dilating. Remove sebum, the primary cause of dilation of pores. Ingredients of SEAMAT + 20% of glacier water content are helping to remove sebum. Bifidus to which skin reacts immediately. Sleeping cream in 50% of bifidus extract is included. 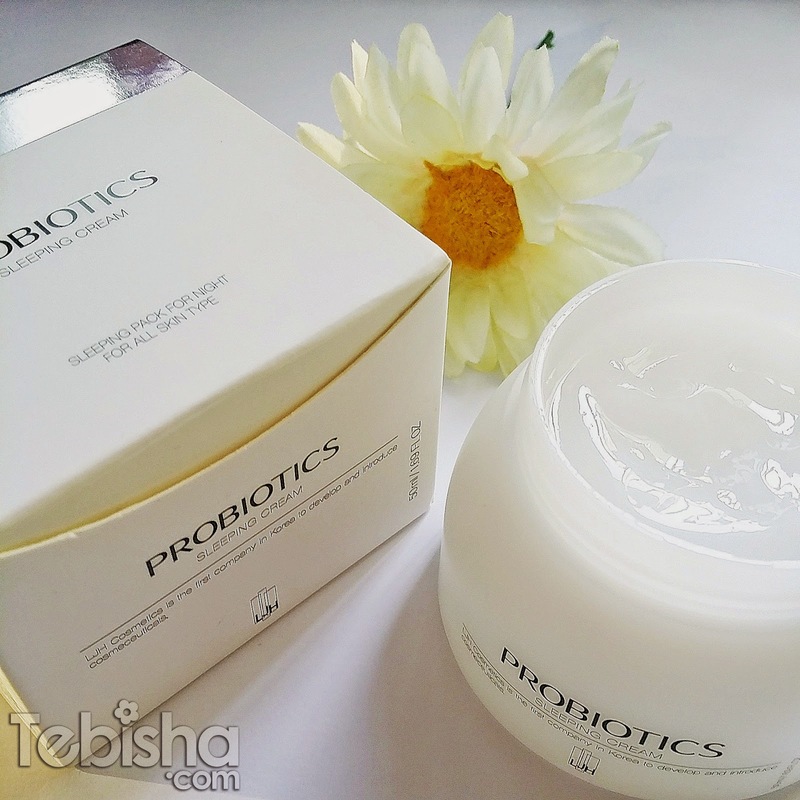 My Reviews: Probiotics Sleeping Cream is light and non-greasy. Easy to apply and its not sticky. My skin able to absorb it quickly after application. Leave it on, sleep and wash off the next morning. My skin feel refreshed and hydrated. Use it twice or thrice a week for better results! HKC Plaza provides free shipping worldwide! I will be giving away two $10 worth of HKC Plaza e-cash vouchers to my readers! 2 readers will win $10 worth of HKC Plaza e-cash voucher each. These are no-strings-attached vouchers, free global shipping is entitled for all my readers. $10 e-cash vouchers can be use to off set the any products you wish to purchase from HKC Plaza (http://hkcplaza.com/). 3. Fill in the form below! You have to complete all the 3 steps to be eligible for the giveaway contest. Giveaway will closed on 15 March 2015, 10pm. Winners will informed via email.